In June 2013, Duncan McConnel became President-Elect of the Law Council of Australia, the peak body for all Australian lawyers, and will become President on January 1, 2015. Duncan has been a director of the Law Council since 2009 and has served on many of its committees including its Indigenous Legal Issues Committee; Commonwealth Compensation Committee; Recruitment and Retention of Lawyers Working Party, Audit and Risk Committee; Corporate Governance Committee, Finance Committee and International Strategy Working Group. Duncan practises as a Barrister in Darwin at William Forster Chambers. Duncan’s practise areas include commercial litigation, mediation, and insurance and compensation claims. Duncan was called to the Bar in 2009 after a successful career as a Litigation Partner for more than 10 years in a leading Northern Territory Firm. 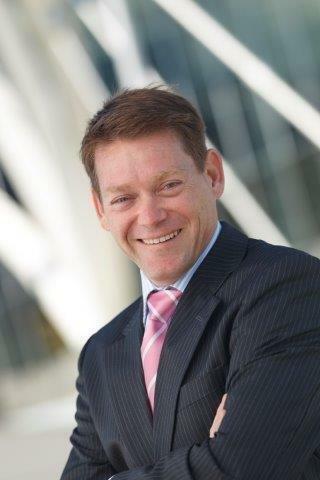 Since joining the bar, Duncan has been involved in some significant NT proceedings including Territory Sheetmetal Pty Ltd v ANZ Banking Group Limited; Keating v Global Insulation Contractors Pty Ltd; Jabiru Native Title Claim; Rothwell v BAE Industries Pty Ltd.
Duncan has made a significant contribution to the legal profession through service on the Law Society of the Northern Territory for over 10 years, including as President from 2007 to 2009. Duncan has served on many committees of the Law Society including the Ethics Committee, Legal Practice Committee, Professional Indemnity Insurance Committee and Funds Management Committee. Duncan held a statutory appointment as Costs Assessor under the Legal Profession Act from 2009 to 2013. Duncan is married to Chrissy, a senior criminal lawyer with the NT Legal Aid Commission. They have 2 children. Duncan’s interests include Music; Aboriginal culture and Art; modern Australian literature; Politics; and Australian Rules Football.